Focus changes lots of things. 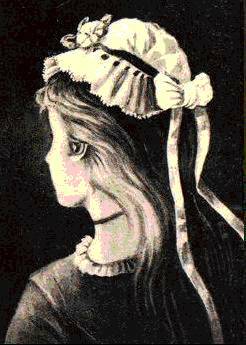 When you focus on one part of this optical illusion you see the young woman, but change your focus and an old woman appears. When you lose your focus during a competition, you lose. You don’t get a job done or you fail the test if you can’t stay focused. Your focus affects every aspect of your life. It affects the choices you make. If you are focused on being the best basketball player of all time, you will choose to practice all the time, spend money on basketball camps, and it will affect what school you choose to attend. It may even affect your relationships, you may stop taking time for friends and family in your quest to perfect your game. Your focus even changes the way you interpret what is going on around you. It changes your attitude towards life. When you focus on the negative your day becomes terrible. When you focus on the positive things, your day becomes better. Have you ever noticed Paul’s attitude when he is in prison? Paul is waiting to find out if he is going to be executed as a Roman traitor for spreading the gospel and yet he isn’t anxious, he isn’t angry, he is focused. Philipians 1:20-21 says, “I eagerly expect and hope that I will in no way be ashamed, but will have sufficient courage so that now as always Christ will be exalted in my body, whether by life or by death. For to me, to live is Christ and to die is gain.” So Paul isn’t lamenting his chains, he isn’t whining about the poor food, or complaining about the rat bites. No Paul is focused. He expects that he will not be ashamed if he is brought to the executioner because he is focused on glorifying God. Paul understands that in whatever circumstance he is in he can and will glorify God. So instead of focusing on himself, his circumstances, the injustice of the situation, Paul is focused on Christ. He also understands if he does die that he will get the reward of heaven. Heaven is gain and life is to glorify Christ. How would your life change if you like Paul focus on Christ? Mine would be different. I would not concern myself about what others thought, but about what God thought. I would not worry about how a difficult time would work out, but instead I would be at peace. I would not have a bad attitude when things don’t go as planned, but I would rest in God’s perfect plan. My life would not be the same. I would be about glorifying Christ and not myself. I would be about seeing others cared for and not out for number one. I would not be in fear of people, but I would truly fear God. Oh that I would “fix my eyes on Jesus” so that I could “run with perseverance the race marked out for” me. Only with my eyes fixed on Jesus could I “live a life worthy of the gospel.” That focus can only be attained through time spent with Jesus. Time spent reading and memorizing God’s word. That focus can only be maintained through the Holy Spirit working in me. Oh that my life may be focused on You Jesus! Oh that through Your Holy Spirit, I may choose to live a life worthy of You. Father change me as I seek to keep You my focus! This entry was posted in Uncategorized and tagged Focus, thoughts, vision. Bookmark the permalink.